My Classic Album' is a podcast about the most acclaimed and loved albums of all time! There are many great albums out there but there's an extra special ingredient that makes an album a classic album. Join Mike Norris as he dedicates each episode to one classic album and looks at the history of the album and its impact in the years following its release. 'My Classic Album' celebrates albums from the 1960's right through to the new millennium from musicians as timeless as The Beatles and Queen, bands who rock as hard as Led Zeppelin and KISS, as well as contemporary performers such as Arctic Monkeys and Radiohead. Whether it's an album you can't stop playing or one you've never heard, 'My Classic Album' is the perfect companion to some of the greatest albums in history! Children of the Beast rejoice! SOiL's Tim King joins Mike to talk about his chosen classic album 'Shout At The Devil' by Mötley Crüe! Tim's story with the album started in the playground at 11 years old and from that moment his own journey into metal began. As for the Crüe, the controversy surrounding this album and the great songs on it proved the breakthrough towards a truly memorable career for the band which has recently been immortalised in Netflix movie 'The Dirt'. What paranormal event caused Nikki Sixx to ditch original album name 'Shout WITH the Devil'? Which of the songs on the album has the distinction of being part of the infamous Filthy Fifteen? What is Tim's initiation to find a true Mötley Crüe fan? These questions and more will be answered on this edition of 'My Classic Album'. An album that truly encapsulates the definition of 'classic', Bruce Springsteen's 'Born To Run' gets the 'My Classic Album' treatment thanks to Canadian singer Will Black. Will joins Mike to break down an album that Springsteen took over a year in the studio to perfect at a time when the stakes were at an all time high. What was Bruce's initial reaction to the final album upon first listening to it? How important is the track order on 'Born To Run'? Which members of the E Street Band link 'Born To Run' to Meat Loaf's 'Bat Out of Hell'? PLUS Mike gives you the inside scoop on the return of Cleveland International Records and their compilation celebrating their history 'Cleveland Rocks'. Buckle in for a jam packed episode of 'My Classic Album'. American musician and producer Skunk Manhattan joins Mike to welcome you to the Jungle in this edition of 'My Classic Album' as we break down the must successful debut album of all time: 1987's 'Appetite For Destruction' by Guns N' Roses! Mike and Skunk delve in to the true story of an album that has influenced them both heavily and began Skunk's own journey into music. Together they try to explain just what makes the classic GN'R line-up of Axl Rose, Slash, Duff McKagan, Izzy Stradlin and Steven Adler and this album so special. How did Elton John's 'Your Song' influence one of the songs on the album? What were the x-rated lyrics that Slash originally fought to be the chorus for 'Paradise City'? After 23 episodes of 'My Classic Album' which track on 'Appetite For Destruction' holds the distinction of being Mike's favourite song of all time? All these questions and more answered on this awesome edition of 'My Classic Album'. Midnite City frontman Rob Wylde returns to 'My Classic Album' as we relive the 'Crazy Nights' of 1987 with arguably KISS' most misunderstood album. Despite bombing in the US, 'Crazy Nights' became the highest charting album of KISS' career in the UK and together Mike and Rob explore why. Where does Rob rank guitarist Bruce Kulick against KISS alumni such as Ace Frehley and Vinnie Vincent? Which track originated on a Wendy O Williams solo album? What makes 'Reason To Live' not only Rob's favourite track on the album but his favourite song of all time? All this and so much more on the latest edition of 'My Classic Album'. Punk singer songwriter Louise Distras drops by 'My Classic Album' to chat with Mike about Nirvana's debut album 'Bleach'. Thanks to a mix tape from a friend as a teenager, Louise was introduced to songs from 'Bleach'; songs which resonated strongly with her and inspired Louise to pick up a guitar for the first time. Why was 'About A Girl' deemed a risk to include on the album? Does 'Negative Creep' have a thrash metal influence? Which bonus track available on some editions of the album is actually a highlight of 'Bleach' for Louise? We've been gone too long in the midnight sea but 'My Classic Album' is back for a second season and we can't help but 'Stand Up and Shout' about our first episode! Mike is joined by former Iron Maiden front man Blaze Bayley who brings with him one of the most celebrated metal albums of all time in Dio's debut 'Holy Diver'. Hear Blaze's incredible story from his days of working in a hotel listening to 'Holy Diver' to touring the world as part of Iron Maiden with Ronnie James Dio in tow! Mike and Blaze also talk about the story of how Ronnie went from leaving Black Sabbath, to recording a debut with the likes of Vinny Appice, Jimmy Bain and Vivian Campbell that would be remembered and beloved by metal fans for years to come. How did Vinny Appice achieve the iconic drum sound on the album? Who recorded Blaze's favourite cover version of 'Stand Up and Shout'? Which song on 'Holy Diver' nearly didn't make the album as Ronnie James Dio was intent on destroying the tape? All this and more will be revealed on this episode of 'My Classic Album'. 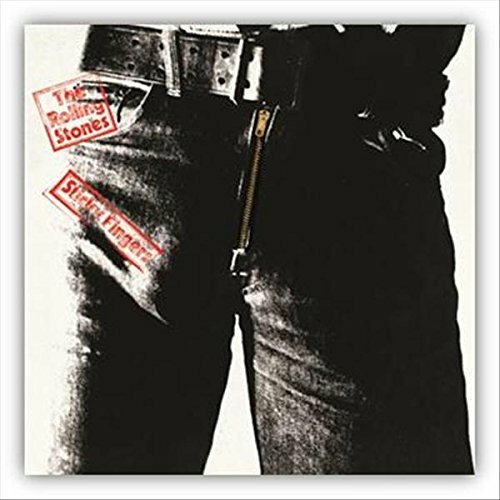 Legendary bands collide on 'My Classic Album' as Mike teams up with Guns N' Roses' Dizzy Reed to break down 'Sticky Fingers' by the Rolling Stones! Together Mike and Dizzy dissect an album that saw the Stones begin the 1970's as the band they wanted to be armed with songs that would become as iconic as the band themselves. What kind of influence would new guitarist Mick Taylor have on the sound of the band? Which songs on 'Sticky Fingers' were the first songs that Dizzy learnt to play on guitar? Why does Dizzy not normally trust the opinions of professors on rock n' roll and who is the man to change his mind? All this and more on this huge edition of 'My Classic Album'. 'My Classic Album' returns after a short break with an album that created the template for the pop-punk album genre for years to come. Worth Taking's Jerod McBrayer joins Mike to talk about Blink-182's breakthrough album 'Enema of the State'. Together Mike and Jerod reminisce about an album that encapsulates the life of a teenage boy at the turn of the Millennium. Which song on the album is named after Mark Hoppus' boat? What are Jerod's thoughts regarding Tom DeLonge's theories around aliens and UFOs? How many WWE references can we fit in to one interview? All this and more on the latest edition of 'My Classic Album'. Singer songwriter Quint Starkie joins Mike for the last episode of 'My Classic Album' in 2017! 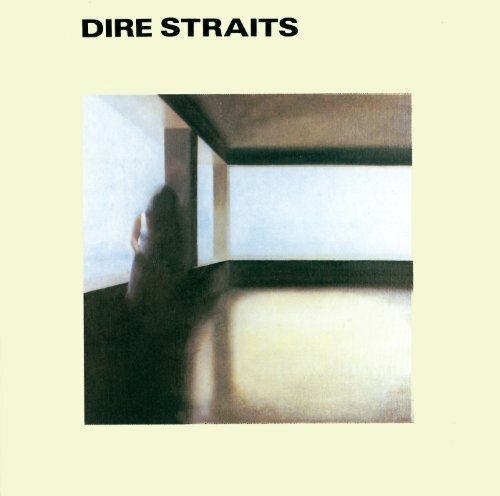 Dire Straits' self titled debut album is the subject of this month's podcast and together Mike and Quint explore just what made this album so special amongst a hugely punk orientated music scene in the late 1970s. What are Quint's memories of hearing Dire Straits for the first time? Why did Mark Knopfler initially have an issue with 'Sultans of Swing'? How does a track like 'Lions' still resonate strongly in today's society? PLUS Mike reviews 'Jupiter Calling', the latest album from the Corrs and reveals which classic album YOU chose as the My Classic Album of 2017. All this and more on this edition of 'My Classic Album'. 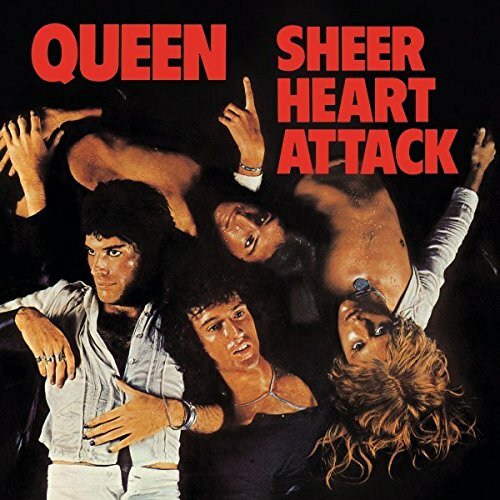 This month we venture deep into 'the Lap of the Gods' as the legendary Queen finally get the 'My Classic Album' treatment for their third album 'Sheer Heart Attack'. Cats In Space guitarist Greg Hart joins Mike to discuss an album that both agree is the seminal album by Freddie Mercury and the gang. Together they discuss their mutual love of Queen and how the band's work on 'Sheer Heart Attack' would influence their output for years to come as well as how it has shaped the music of Cats In Space. Was 'Stone Cold Crazy' a precursor to thrash metal? Why should you NEVER put 'In The Lap of the Gods' on a shuffled playlist? Did Roger Taylor unwittingly pioneer the sound of punk? PLUS Mike reviews 'Judas', the latest album from hard rockers Fozzy. Not only that but we look back on the past year of 'My Classic Album' and invite YOU to vote for your Classic Album of the Year for 2017. 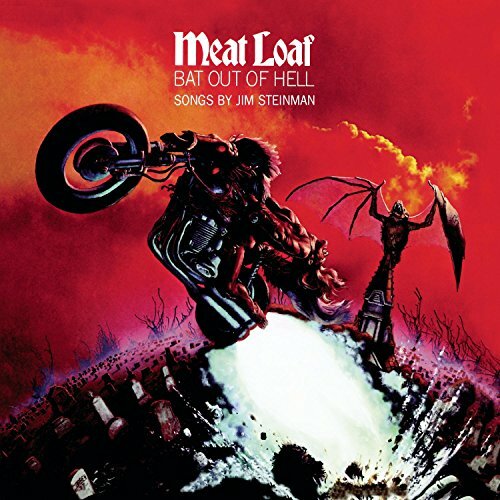 'My Classic Album' gets all revved up as Mike finally gets to talk about HIS classic album; the iconic 'Bat Out of Hell'. On this special episode to celebrate 40 years of Meat Loaf and Jim Steinman's defining album, Mike is joined by Meat Loaf fan and Steinman confidante Jacqueline Dillon. Together Mike and Jacqueline go back to the very beginning of their own journeys with 'Bat' as well as discuss the album's eventful history from its roots in the musical 'Neverland' through to its phenomenal sales of 43 million copies! Not only that but as always all seven tracks on the album get the 'My Classic Album' treatment. How did Jacqueline's love of 'Bat Out of Hell' lead to a long time association with Jim Steinman? Which track on the album hides an Eagles influence in the backing vocals? Why did a performance of 'For Crying Out Loud' play a pivotal role in the album's success? Not only that but vocalist Ellen Foley who appeared on 'Paradise By The Dashboard Light' joins 'My Classic Album' to discuss her memories and thoughts about 'Bat Out of Hell' forty years on! Ellen and Mike also chat about Pandora's Box as well as Ellen's reunion with Meat Loaf on last year's 'Braver Than We Are'. This is a conversation not to be missed! PLUS: Mike reads out your thoughts and memories on 'Bat Out of Hell' as well as revealing which song YOU voted as your favourite track on the album! So much to fit in on this bumper edition of 'My Classic Album'. This month Mike is 'Hanging on the Telephone' (or Skype to be more precise) with Big Boy Bloater as they break down Blondie's classic album 'Parallel Lines'. Mike and Bloater look back at the impact that producer Mike Chapman had on the band in the studio and how that hard work translated into an album that changed everything. What were Mike's initial thoughts of Blondie upon starting work on the album? Which track on 'Parallel Lines' was called 'the tenderest new wave love song put to vinyl' by Rolling Stone? Why did some Blondie fans have such a problem with 'Heart of Glass'? PLUS Mike reviews 'Dark Matter', the first studio album in nearly ten years from singer songwriter Randy Newman. One of Stevie Wonder's most introspective albums gets the 'My Classic Album' treatment as Riverdogs drummer Marc Danzeisen drops in to chat with Mike about the Grammy Award winning 'Fulfillingness' First Finale'. Marc reveals just how albums like 'Fulfillingness' First Finale' and 'Innervisions' kick started a love affair with R&B which endures to this day as Mike and Marc look in depth at an album bursting with guest appearances from the likes of Minnie Riperton and the Jackson 5. What was the reaction from the American public to anti-Nixon single 'You Haven't Done Nothin''? How did Stevie Wonder's horrific car crash in 1973 contribute to a more reflective and thoughtful album? 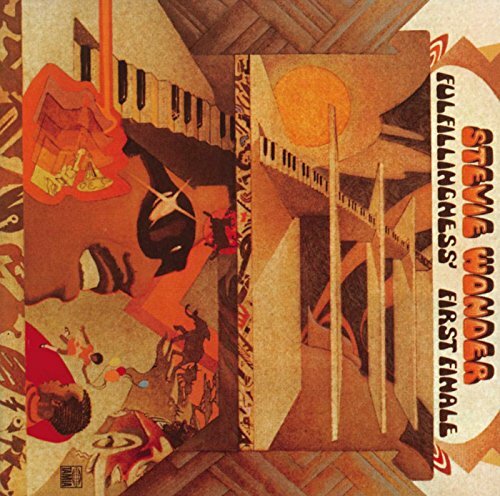 Which song on 'Fulfillingness' First Finale' did Mike initially find the least accessible only later for it to become one of his favourites on the whole album? Plus Marc reveals all about the night he got to jam with the Motown legend himself! All this and more on the latest episode of 'My Classic Album'. 30 years after Def Leppard poured some sugar on us and warned us that love bites, 'My Classic Album' celebrates the phenomenal 'Hysteria'. Mike is joined by Tigertailz and Midnite City frontman Rob Wylde who was just ten years old when 'Hysteria' was unleashed on the world. Mike and Rob look into the extraordinary story of the making of the album including the horrific accident and inspirational comeback of drummer Rick Allen. 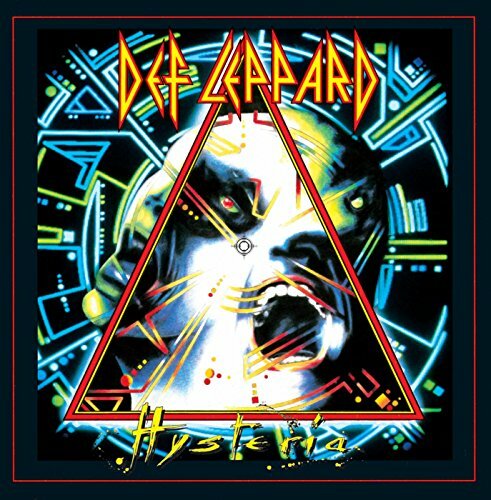 Who was the producer and songwriter initially recruited to produce 'Hysteria' when Mutt Lange was unavailable? Which song on the album do Mike and Rob believe could have been a single despite Def Leppard guitarist Phil Collen calling it 'the weakest on the album'? Do Def Leppard really want Jesus to go to Hell? PLUS Mike reads out your thoughts and comments and reveals the 'Hysteria' track you chose as your favourite! All this and much more in our 30 Years of 'Hysteria' special! 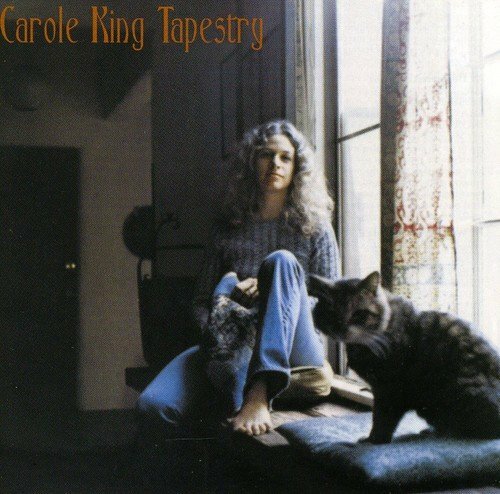 Mike and Esther chat about the impact 'Tapestry' had on its release; not only on Carole King's career but on generations of female singer songwriters. How did the likes of Joni Mitchell and James Taylor contribute to 'Tapestry' as well as the growth of King as an artist? What event inspired Carole King to write 'You Make Me Feel Like A Natural Woman'? Which song on the album was rewritten and rerecorded for the TV series 'Gilmore Girls'? PLUS Mike shares his thoughts on 'Lindsey Buckingham/Christine McVie', the new collaborative album from the Fleetwood Mac duo! Mike and Beth explore why Kiss are so criminally underrated outside of their fiercely loyal fanbase and why their 'difficult' second album may actually be one of their best. How did the band feel about relocating to LA to record the album? hich song did drummer Peter Criss love so much he threatened to quit the band if he didn't sing it? What are Beth's thoughts on meeting Gene Simmons?? All this and more PLUS Mike discusses Iron Maiden's gig at the Metro Radio Arena in Newcastle as their 'Book of Souls' tour powers on! Inner Groove Records' Ben Dumbreck joins Mike for Episode 10 of 'My Classic Album' and brings the debut album of Arctic Monkeys with him. Mike and Ben look back to 2006 and chart the incredible rise of Arctic Monkeys from unsigned Internet favourites to the band with the fastest selling debut album in UK history! What role did Myspace have in catapulting the band to stardom? hy does the song 'Dancing Shoes' give Mike flashbacks to his university days? 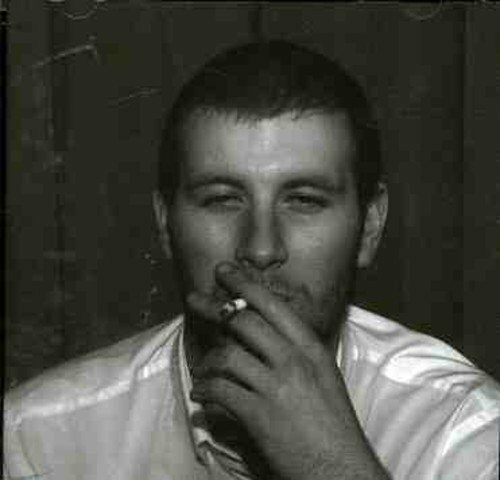 ow did Ben find seeing Arctic Monkeys live at this hugely important time in the band's career? ll this and more PLUS Mike discusses Amy Macdonald's pit-stop at Newcastle City Hall on her 'Under Stars' tour. So much to get through on the latest episode of 'My Classic Album'. Grammy and Dove Award winner Bruce Carroll joins Mike to chat about 'Sweet Baby James', the breakthrough album from American singer-songwriter James Taylor. Bruce looks back on discovering Taylor's music in the early 1970's and the effect it had on him and society as a whole at that time. 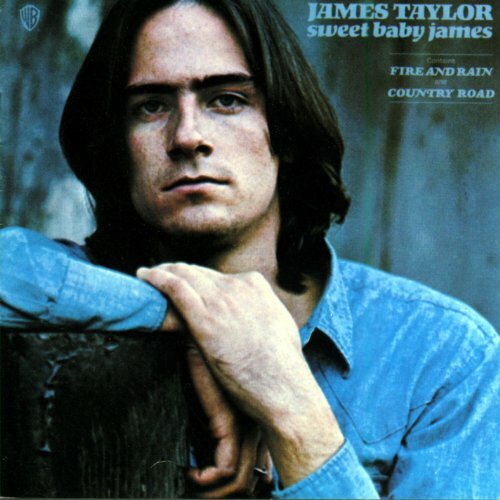 Who did James Taylor write the title track of 'Sweet Baby James' for? Which band does Mike cite as a potential influence on track 'Sunny Skies'? Why did 'Fire and Rain' prompt Carole King to write 'You've Got a Friend' as a response to the song? PLUS Mike shares an anecdote from his stag weekend at a Steel Panther show! It's all right here on Episode 9 of 'My Classic Album'. Mike is joined by US singer-songwriter Samantha Preis to discuss the album that inspired her and so many others to start their own emotional journeys into music. 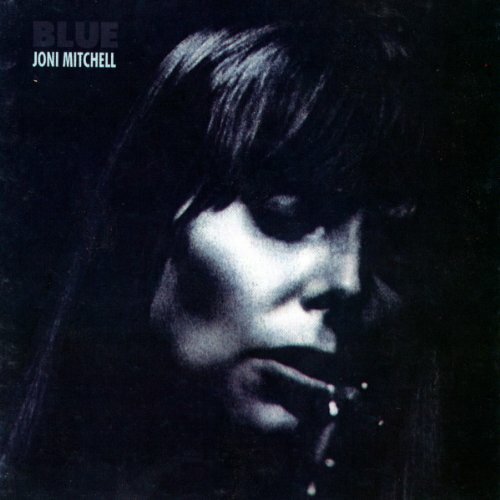 Joni Mitchell's quintessential album 'Blue' is this month's Classic Album! Samantha chats about just what makes this album so special to her as well as the impact it has had on her both as a music fan and as a musician and lyricist. What is the heartbreaking story behind 'Little Green'? How do Joni's experiences writing 'California' remind Samantha of experiences from her own life? Which hard rock band made 'This Flight Tonight' their own to the point where Joni joked at live shows that she covered it? All this PLUS a review of Amy Macdonald's latest album 'Under Stars' right here on Episode 8 of 'My Classic Album'. 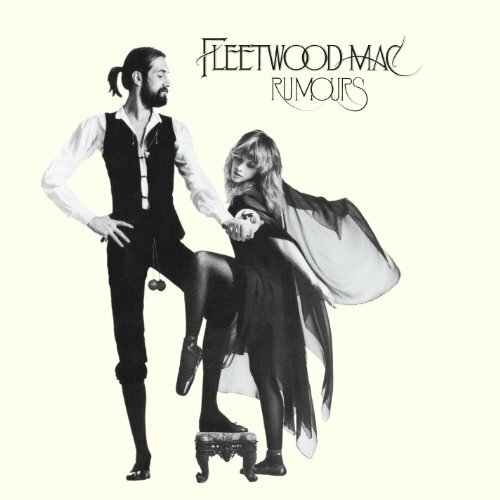 Mike is joined by Neil O'Donaghue, Fleetwood Mac fan and the man responsible for www.fleetwoodmac-uk.com. Together Mike and Neil look back on the emotional, heartbreaking and iconic story behind the making of this phenomenal album. Which song was famously dismissed by a prominent radio presenter because he "couldn't find the beat?" What was Stevie Nicks' process when writing and recording 'Dreams'? Why didn't 'Silver Springs' (the 'Rumours' track that never was) make the album and how did it find it's own lease of life nearly twenty years later? Not only that but Mike is also joined by 'Rumours' producer and engineer Ken Caillat! Ken has so many stories from his time in the studio with the band and shares a few with Mike exclusively for 'My Classic Album'. What was Ken's initial reaction to the album in its early stages? Which tracks stand out to Ken as particularly strong 40 years on? What on Earth is Kowlooning? All this and more on this very special edition of 'My Classic Album'.